The Krogers in our area are still celebrating the Grand Re-Opening from last weeks ad, so be sure to double check the prices in your ad. I think it is only a couple of items, but I can’t be sure unless I check each areas ad. Let me know what you find in the comments. Wondering what the abbreviations below mean? Be sure to checkout my Coupon Lingo Guide. 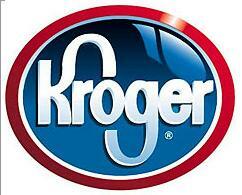 So, what deals did you find at Kroger this week? Be sure to leave your finds in the comments. These deals are for the Middle TN area, so prices may vary by region. I only list what I think are the “best deals”. For a full list scroll down for link. My store doubles coupons everyday $.50 and under. **If you are new to loadable coupons, check out my posts here, here and here. Turkey Breast, frozen, bone-in — $.79/lb (limit 2) – I think this is a local-only deal, check your ad. fiber one yogurt is 2/4 for a multipack (it is included in the yoplait sale). There are 2 $1/1 loadable coupons, and you can print 2 .75 cents off 1 on the fiber one website. Total=2 4 packs for FREE! What do you do with your pears to stock ahead? Slice and freeze them? Huggies are not on sale here in Spring Hill. Pampers Jumbo pack and Training pants are on sale for $8.99. Are you located in Nashville, TN? If so, the Kroger in Green Hills has told me they only double coupons up to 50 cents. Is this true? Also, I've noticed different prices between the ad and your post. Perhaps this is because of the grand opening sale though. Thanks for all your great coupon help!